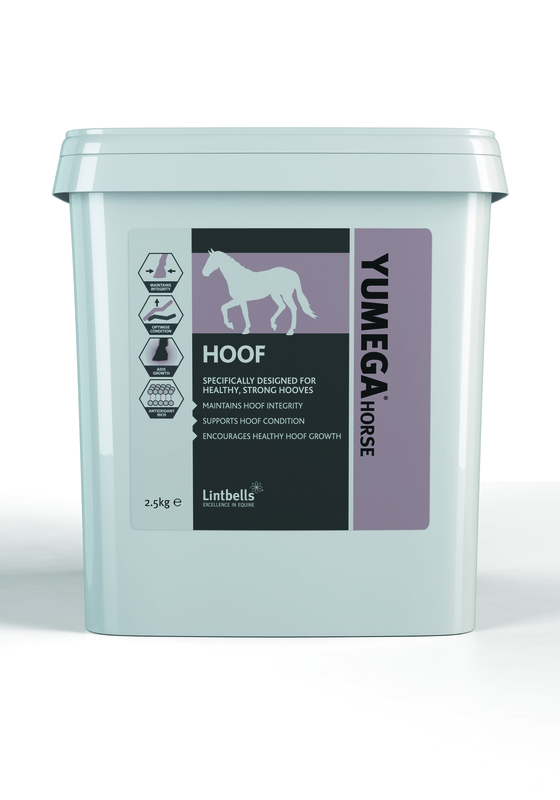 Yumega Horse Hoof contains high quality ingredients, at superior levels, and is formulated to help support healthy hoof development & encourage strong hoof growth. It benefits from Biotin, Methionine, Zinc, Lecithin, Lysine, Vitamins C & E.
Yumega Horse Hoof supports keratin production, as well as collagen & elastin, which are the main components of hoof walls. Lecithin is a rich source of fatty phospholipids which help to add strength and pliability to connective tissues. These high levels help to bond the hoof wall together, maintaining hoof integrity. Biotin - an amino acid that has been shown to be important in the growth and repair of skin and hooves. High purity Biotin, used at the level provided in the Yumega Horse Hoof formulation, has been scientifically proven to support hoof growth, structure and condition. Zinc and DL-Methionine support keratin production – the primary component of the hoof wall structure. Using a uniquely stable form of Zinc ensures enhanced bioavailability to support hoof growth. Added natural antioxidants, Vitamins C & E, neutralise free radicals generated during exercise. Combined with Lysine they stabilise collagen & elastin to optimise hoof condition. It is ideal to feed to horses who have poor quality, cracked or crumbly hooves; however, it is also suitable to feed to any horse you would like to maintain or improve hoof quality.